Soil – nutrient storehouse and dispensary, beneficial microbe incubator, carbon sink, flood control program – yes, it’s a resource worth cultivating, so to speak. Its physical characteristics, chemical properties, and its system of living organisms have been the drivers of where civilizations have flourished for most of mankind’s history. With good soil, “just add water” takes on a new meaning. And conversely, poorly managed or “worn” out soils have long been associated with declining societies. Healthy soil is only about 45% minerals – the rest is air, water, organic matter and soil life. You might think of it as a cake: a cake without much moisture or air would be a pretty sorry cake indeed! So how do you get and keep all that air and water in the soil? It’s all about building and maintaining structure: a framework. 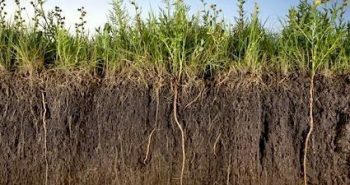 In perennial cropping systems this framework is rarely disturbed and can become better over time When it comes to “managed” soils producing annual plants, proper and timely cultivation is crucial to maintaining the physical structure needed so that it can maintain 50% or more air and water. Once planted, roots will contribute to the soil structure as they grow through the pore spaces. It’s a win-win! And the carbon exudates (organic residue, sugars, starches, humus, humin, glomalin, etc) released by the growing plant roots encourage beneficial soil life and continue to improve soil chemistry interactions as well. But the inherent (parent) chemical composition of soils is very resistant to change. 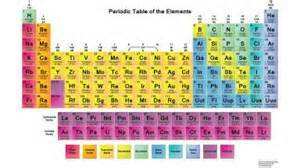 Elements can not be destroyed and most of the molecules and compounds making up “dirt” are very stable. 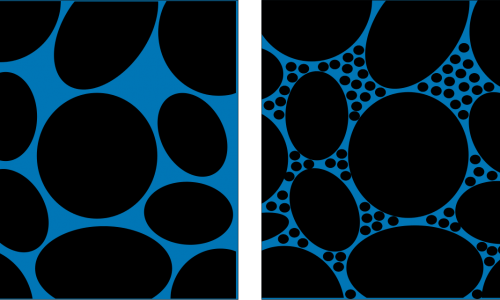 But the way the chemicals in the soil interact can change – that characteristic of interaction is heavily influenced by structure. A once productive soil that is “worn out” is often one that has simply acquired poor physical structure through poor farming practices. 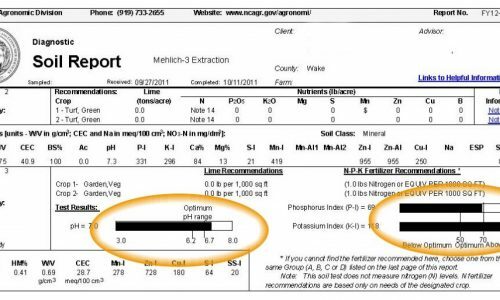 Declining organic matter content and a corresponding lack of soil life (quantity and quality) often go along with the lack of structure. The land needs its rest! But under good management practices the soil quality can usually be restored quite quickly. Once the the physical structure is restored and the organic matter levels are improved, soil life increases and “Presto” – Good Soil again! The desired chemical interactions have been restored by the action of diverse and numerous soil organisms. The vicious cycle is over – the virtuous cycle can begin. Soil that is well managed and cared for creates a wealth of healthy food in the form of healthy plants and animals. It also supports the adequate supply of many raw materials for clothing and building. It is essential to the health and wealth of the human race. This section of Earthwise Academy will attempt to explain and document the science and wonder of what makes a good soil. The major topics below will be addressed in sections and in combination. Micro, macro, intermediate – every type of organism you can think of and a whole lot more. 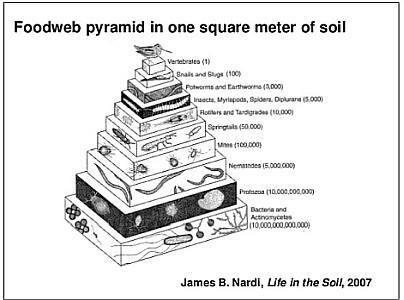 That’s just the living part of the Soil Foodweb, sometimes referred to as the plant’s “digestive system”. In this section we will be looking at the many ways the soil foodweb positively affects physical, chemical, and electrical properties of soil – facilitating plant growth and making it more efficient. 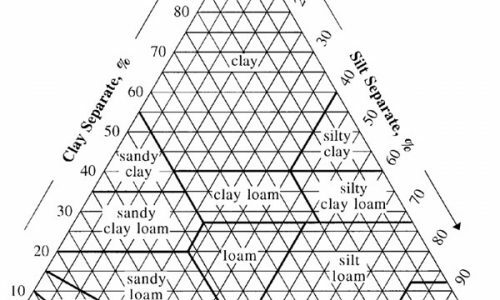 The chemical properties of a soil vary widely as a result of the mineral”parent materials” that make up the soil, the particle sizes, the extent of soil weathering, and the history of soil amendments and irrigation waters applied. It can determine whether some crops can be grown at all and whether it is profitable grow others. Understanding the physical properties of a soil is the starting point for creating an effective growing plan and fertility schedule. Some physical properties are inherent to the soil, while others can be modified by tillage, organic matter, plant root growth, and soil microbes. Soil water is the lifeblood of the soil. Directly or indirectly, all living soil organisms and plant roots depend on this resource for their survival. The availability of soil water regulates all life in the soil. Soil composition, particle size, organic matter content, and electrical conductivity all affect the retention and availability of soil water. 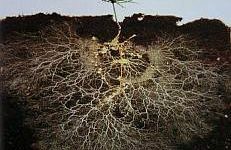 The rhizosphere is the portion of the soil that is inhabited by and directly interacts with plant roots. This soil zone is complicated and dynamic, constantly being affected by the atmosphere, water (from above and below), exudates from plant roots, soil microbes, and a wide range of soil dwelling animals.